In 1941 the Axis powers invaded Yugoslavia and Greece. British and Commonwealth intervention and evacuation followed before a vicious partisan conflict began that raged across the Balkans for the following four years. On 6 April 1941, the German Army, supported by Hungarian and Bulgarian forces, attacked Yugoslavia and Greece. Hitler launched the assault in order to overthrow the recently established pro-Allied government in Yugoslavia and to support the stalling Italian invasion of Greece (launched in October 1940). The operation would secure Germany's Balkan flank for the planned invasion of the Soviet Union, scheduled for spring 1941, and safeguard its Romanian oil supplies from possible Allied air attack. Possession of the southern Balkans, commanding as they did the eastern Mediterranean, would also allow Germany to attack British lines of communications with the East. By 17 April 1941 a divided Yugoslavia had capitulated after Belgrade and other major cities were bombed. A Nazi puppet state was created in Croatia, while the rest of Yugoslavia was dismembered by the Axis powers. 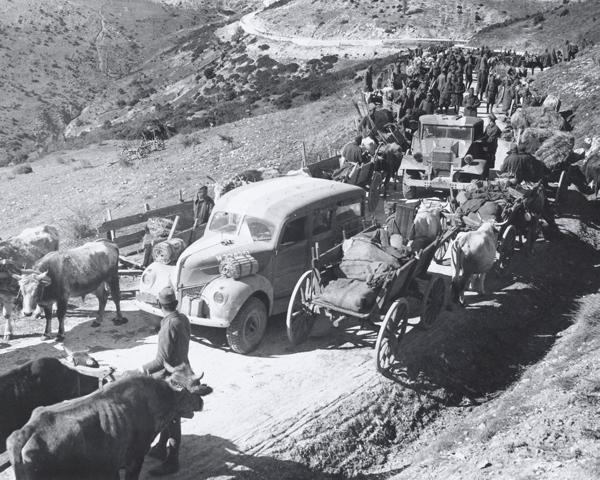 The Germans had meanwhile pushed into northern Greece from Bulgaria and Yugoslavia. 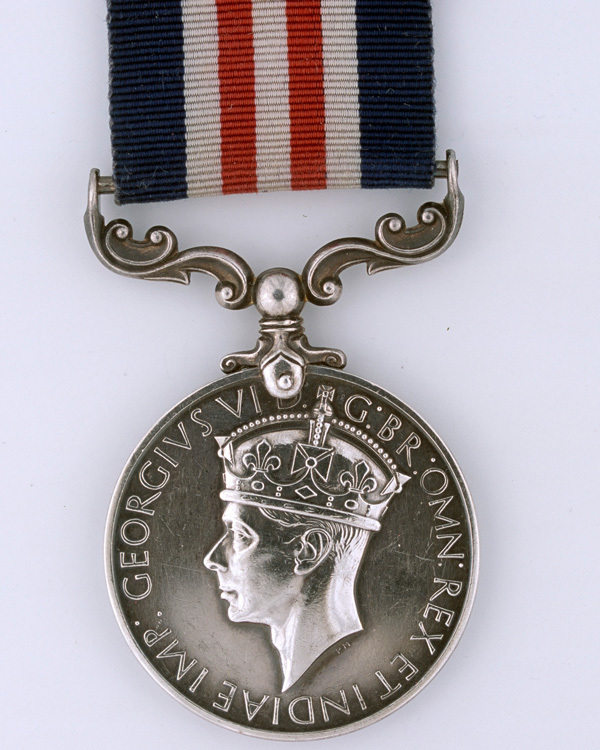 Although the British were fully stretched fighting the Axis in North Africa, they had dispatched 58,000 Commonwealth troops to assist the Greeks in March 1941. This force, commanded by General Henry Maitland Wilson, included 1st Armoured Brigade, 6th Australian Division and 2nd New Zealand Division. Despite the brave resistance of the Greek and Commonwealth troops, the speed of the German ‘Blitzkrieg’ overwhelmed their defensive positions. 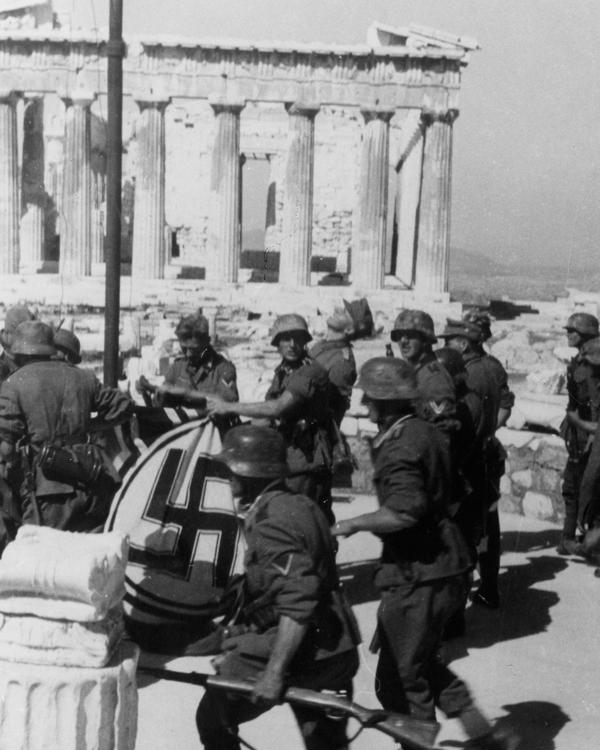 The Germans quickly captured the southern Greek cities and the struggle ended with the fall of Athens on 27 April 1941. 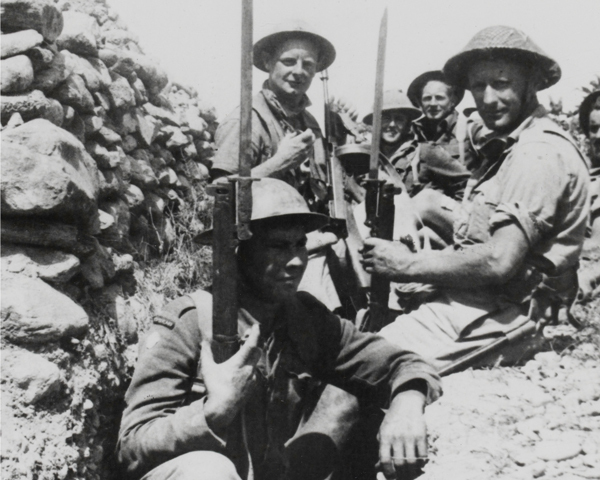 The Allies lost around a quarter of their strength, including 11,000 men captured. 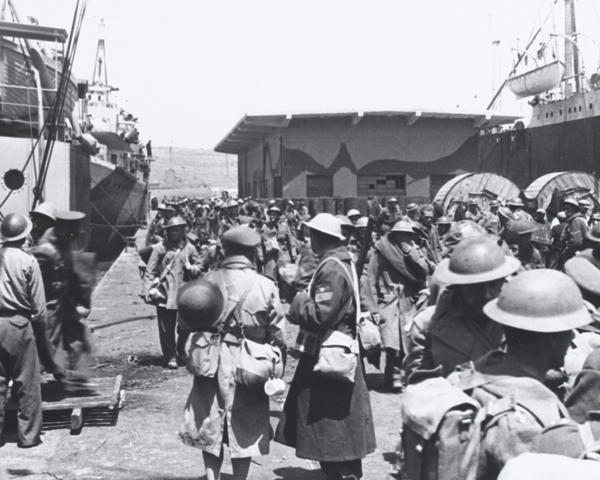 Nevertheless, about 45,000 Allied soldiers were successfully evacuated to Crete. German losses were about 11,500, with 2,500 dead. Following the occupation of the Greek mainland, the Germans invaded Crete on 20 May 1941 in a massive airborne assault. German paratroops attacked the airfields of Maleme, Rethimnon and Heraklion, but were met by stiff resistance from Allied soldiers and the Cretan population. 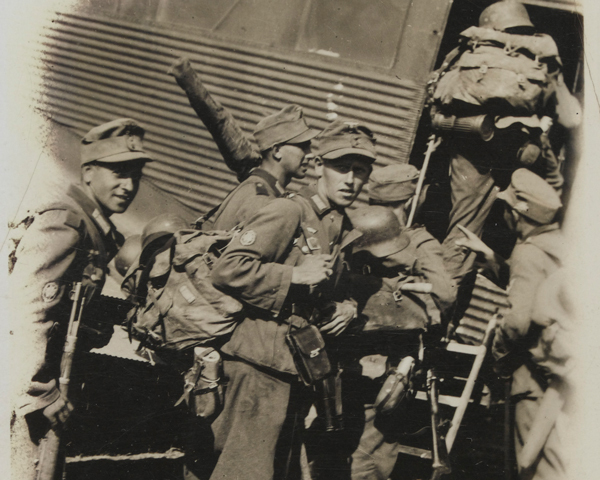 The numerically superior Germans eventually overwhelmed the defenders and the Allies evacuated the island. 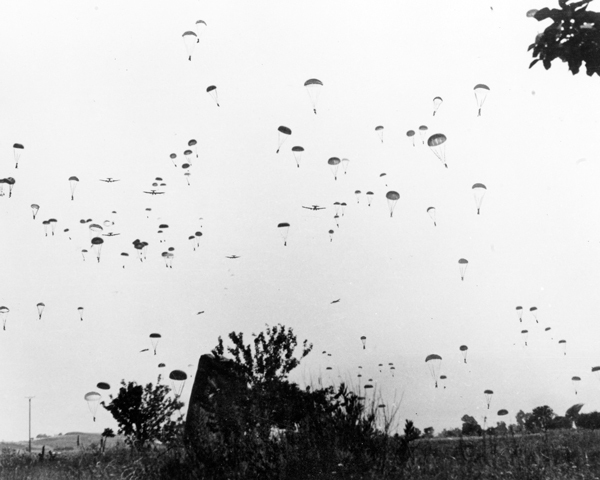 The loss of so many paratroops forced the Germans to abandon major airborne operations. General Kurt Student, commander of the invasion force, dubbed Crete 'the graveyard of the German paratroopers' and a 'disastrous victory'. In the remote mountain regions of Greece and Yugoslavia resistance forces gradually emerged in the aftermath of defeat. A long and appallingly brutal guerrilla war raged across much of the region for the next four years. In late 1941 Britain recognised Dragoljub Mihailovic's Serbian 'Chetniks' as the official resistance in Yugoslavia. Special Operations Executive (SOE) agents were sent to assist them in their fight against the Axis occupiers. The 'Chetniks', however, soon became involved in a civil war against a rival resistance movement, the 'Partisans', led by Josip Broz, or 'Tito'. 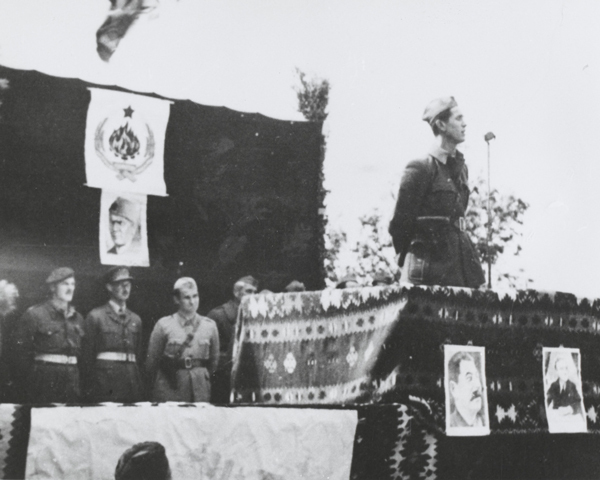 This force was Communist, multi-ethnic and fiercely opposed to Mihailovic's Royalist movement. Growing 'Chetnik' collaboration with the Axis against Tito finally led Britain to switch its support to the 'Partisans' in December 1943. The British faced a similar problem in Greece, where there were also two resistance groups: the Communist-dominated National Popular Liberation Army (ELAS) and the republican Greek National Democratic Union (EDES). The two fought a bitter civil war until the Allies brokered a temporary ceasefire. But relations with both groups were difficult for the remainder of the war. 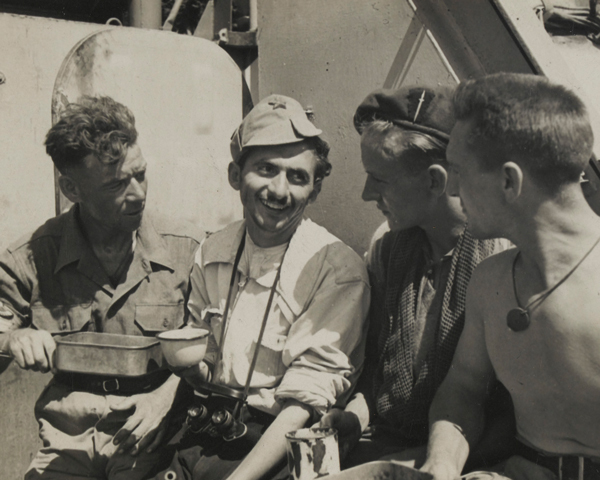 Despite the infighting, SOE agents, Army and Royal Marine Commandos, the Special Boat Service (SBS) and the Special Air Service (SAS) all fought alongside the Greek and Yugoslav resistance. They undertook raids against Axis military installations and engaged in acts of sabotage. 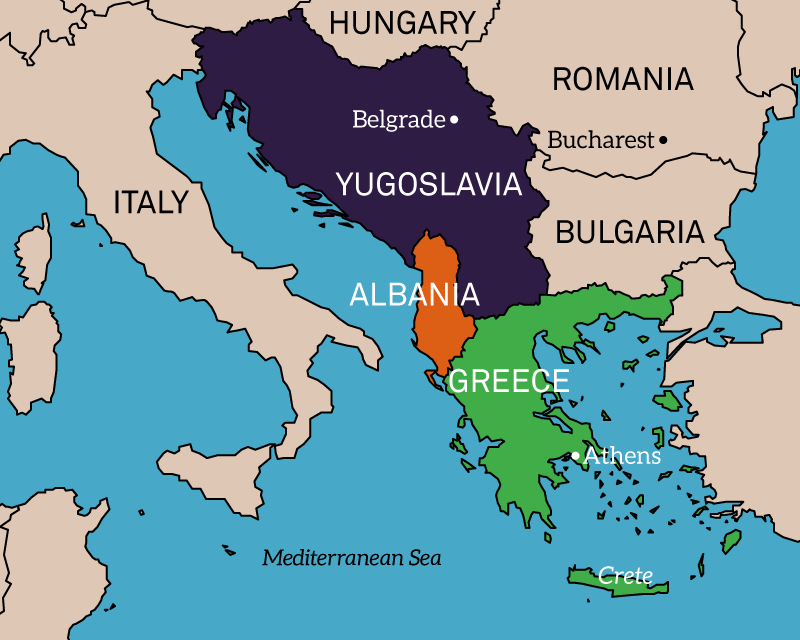 Together they forced the Axis to garrison Yugoslavia and Greece with hundreds of thousands of soldiers, preventing their use on other war fronts. The cost was huge. The fighting in Yugoslavia resulted in around 1.2 million deaths out of a population of 14 million. Greek losses were over 300,000 out of a population of 7 million. 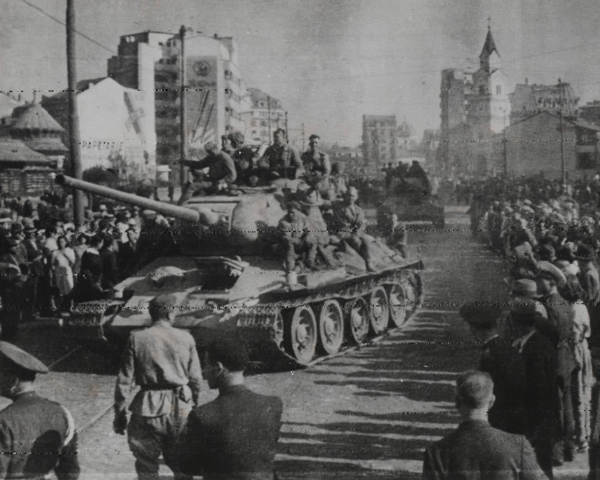 By August 1944 the Red Army had advanced through Romania and into the Balkans. The Germans in Greece and Yugoslavia, in danger of being cut off, retreated into Austria and Hungary. Allied troops landed in Greece in October, but they saw little fighting as the Germans were in full retreat. The resistance had already liberated most of the country. Tito's Partisans had done the same in Yugoslavia and entered Belgrade several hours before Soviet forces arrived. 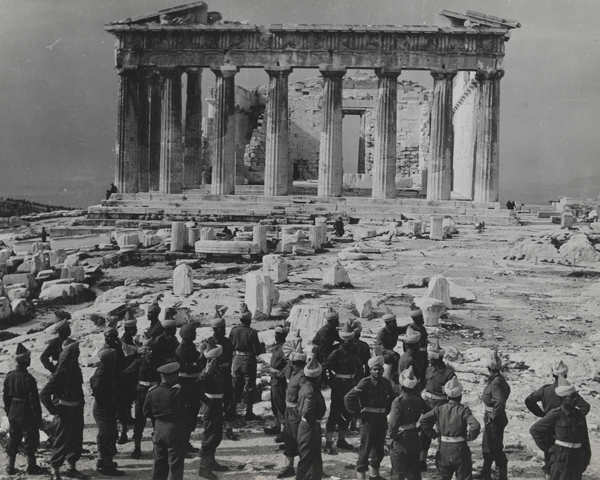 The uneasy truce between the Greek resistance groups ended with the German withdrawal and civil war began. The British tried to stay neutral, but they eventually intervened on the side of the EDES-dominated government. In Athens, 5th Indian Infantry Brigade succeeded in clearing ELAS forces from Piraeus and reopened communications between the port and Athens. After further successful counter-insurgency operations the Indian troops handed over control to Greek government forces and were withdrawn in mid-January 1945. Eventually a new ceasefire was implemented. The news of Allied soldiers fighting an anti-German resistance movement, while the war in Europe still raged, caused press outrage in Britain. This could have been a severe blow to Allied unity. However, the Soviet Union did not come to the aid of the Communists. 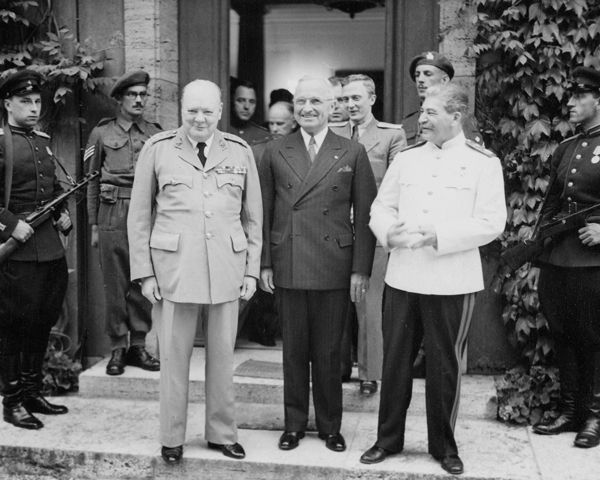 They accepted that Greece belonged in the 'British sphere of influence' as defined in the agreement between Winston Churchill and Stalin at Moscow in October 1944. In the summer of 1940, the Germans defeated France and drove the British out of Western Europe. Following their evacuation from Dunkirk, the British found themselves alone and threatened with invasion. The bitter struggle that rolled back and forth across the North African desert was the first major Allied victory of the Second World War. In September 1944, the Allies launched a daring airborne operation to cross the Rhine and advance into northern Germany. Market Garden remains one of the Second World War’s most famous battles. D-Day, 6 June 1944, marked the start of the Allied invasion of Normandy, the greatest amphibious operation in history.